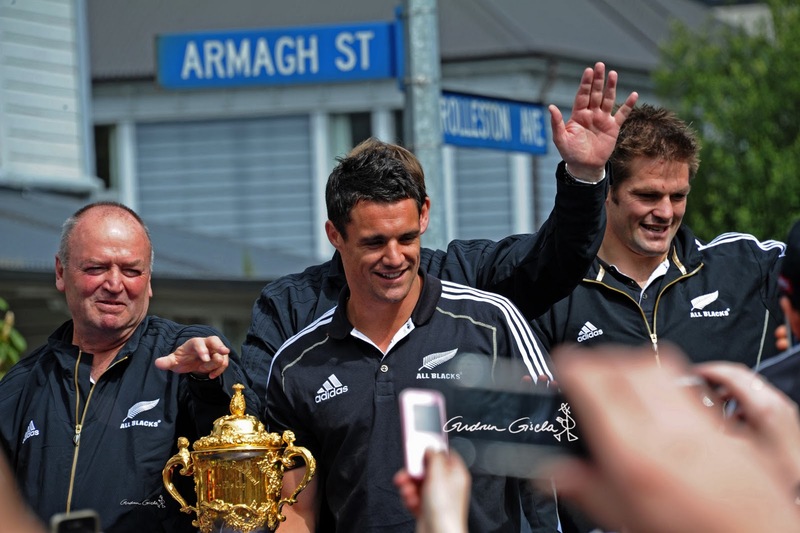 The victorious ABs made their triumphant way through the city's relatively undamaged fringe. With a high proportion of the local Canterbury Crusaders in the team it was something of a homecoming. 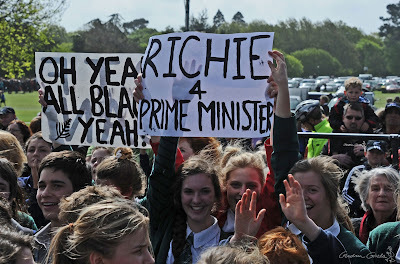 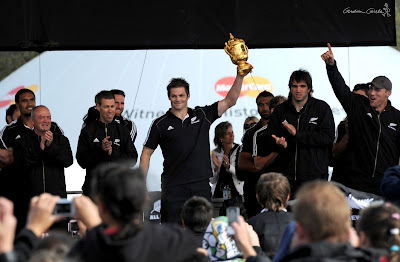 The parade culminated in a mass love-in at the Hagley Park Fanzone. Crusaders Corey Flynn and Israel Dagg receive the adulation of their home crowd. Not Clark Kent but a bespectacled Corey Jane, with Crusader Owen Franks. 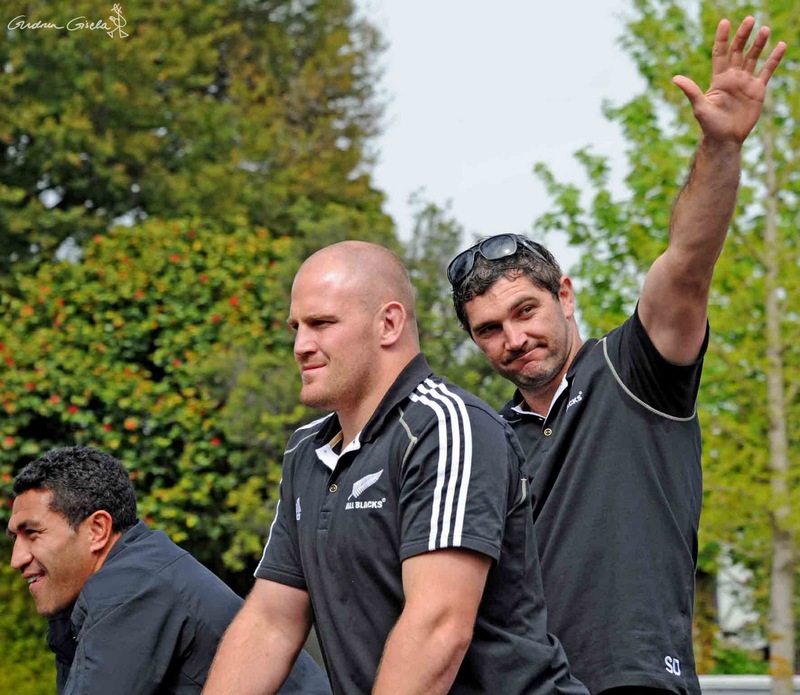 Malili Muliaina, Crusader Ben Franks, and surprise match hero Stephen Donald. Jimmy Cowan and Crusader Sam Whitelock. 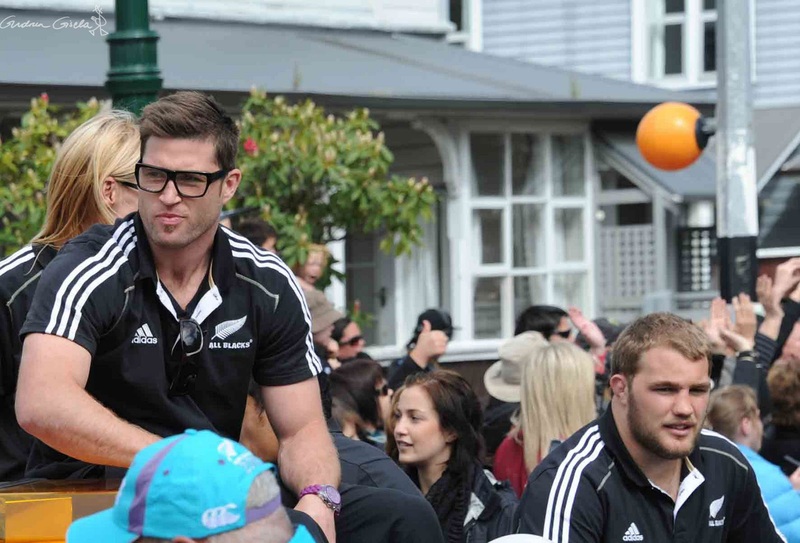 Crusaders Andrew Ellis and Kieran Read. 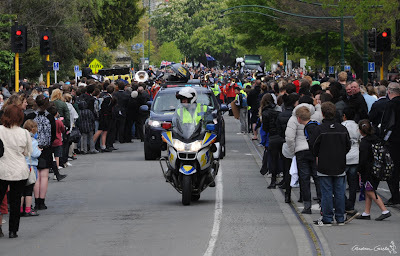 Coach Graham Henry gives his benediction to the adoring throng. 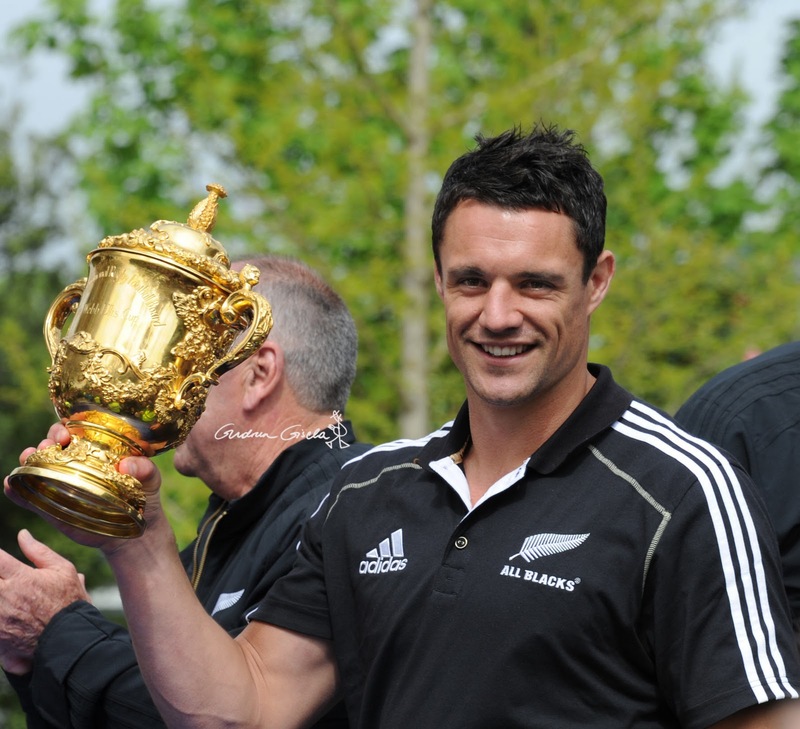 Crusader Dan Carter displays the mug. Never too old to love the ABs. 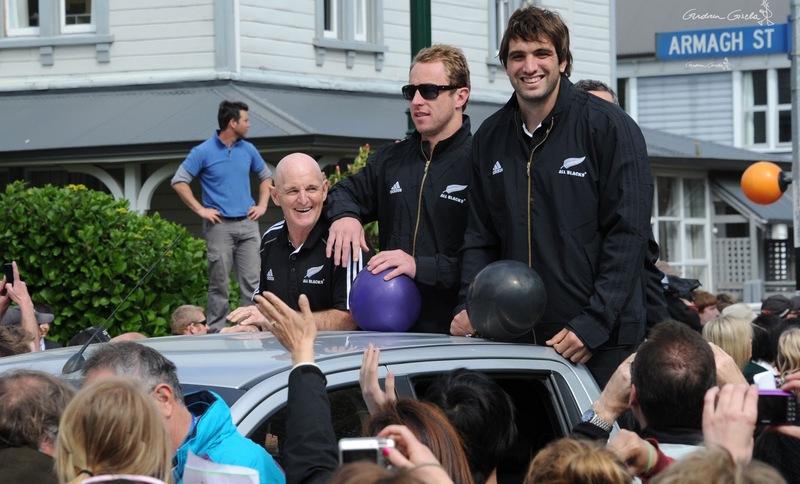 The ultra-rare phenomenon of coach Graham Henry cracking a smile. It's not easy facing up when your whole world is black?